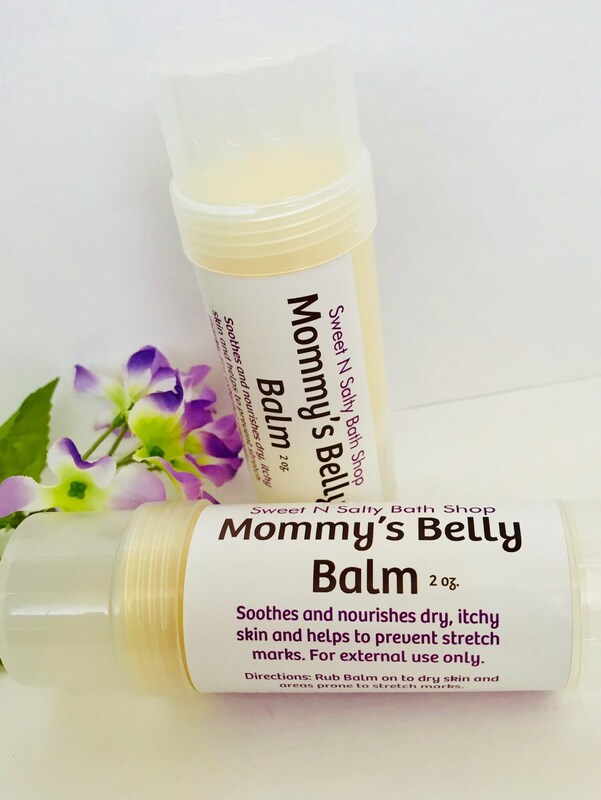 This multi use, convenient, easy to use, all natural belly balm helps moisturize stretched, dry, itchy skin due to pregnancy. Made with all natural, superior quality ingredients. These butters and oils are full of antioxidants and nutrients including vitamin A, D, and E which can help treat dry skin and helps to prevent stretch marks and relieves itching. Also makes a great barrier for preventing diaper rash, keeping baby’s skin moisturized, nourished, and comfortable. This information is for educational purposes only and is not intended to diagnose, treat, cure, or prevent skin conditions.